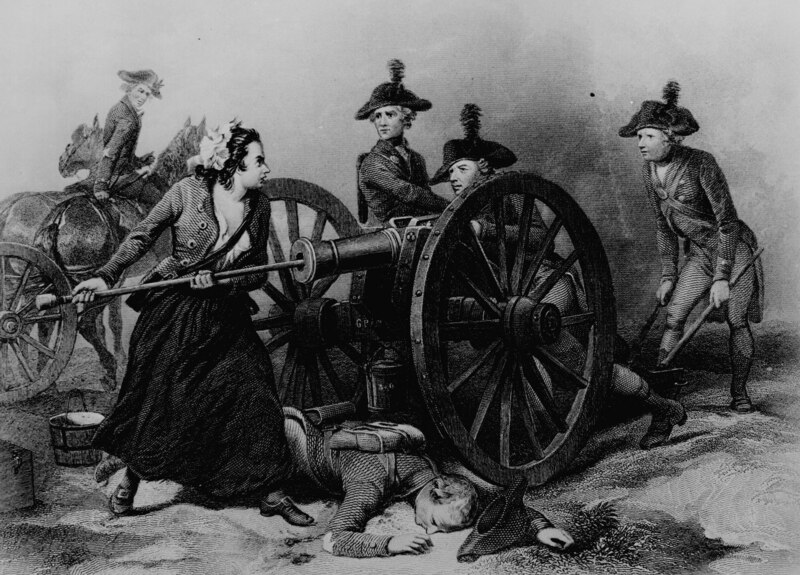 Margaret Corbin “womaning” the cannon at the Battle of Fort Washington, November 16, 1776. Image via Wikimedia Commons. A heroine of the American Revolution, Margaret Corbin was the first woman to take a soldier’s part in the fight for independence. She saw action during the Battle of Fort Washington, and was captured in the crushing American defeat on November 16, 1776. 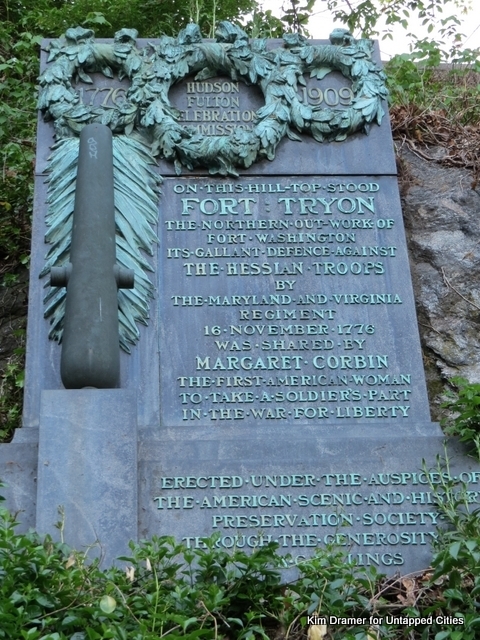 Margaret Corbin lies in eternal rest at West Point. 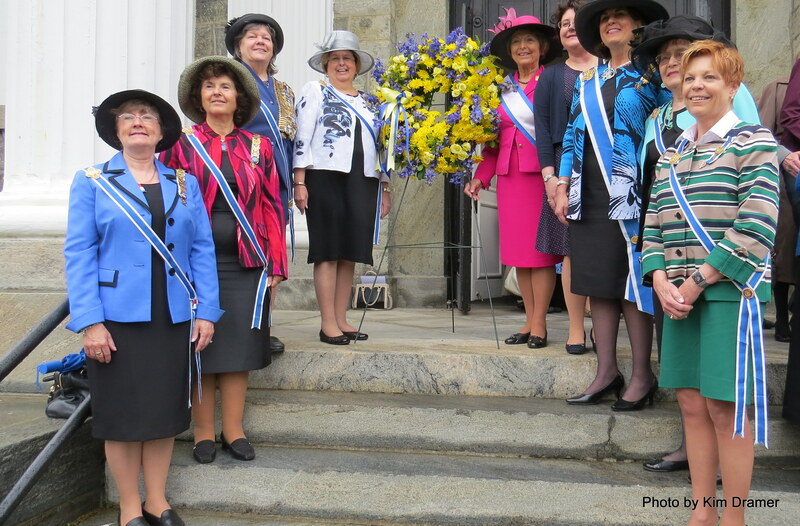 Here, Margaret Corbin Day is celebrated each year by the National Society Daughters of the American Revolution (DAR). 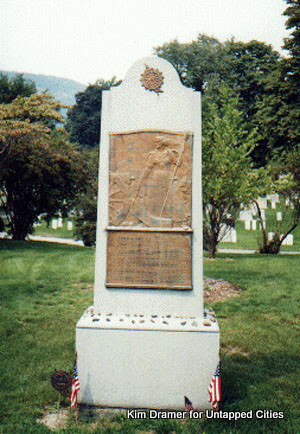 Final resting place and monument of Margaret Cochran Corbin, West Point cemetery. This year’s gathering celebrated the growing understanding and appreciation for the role of American women in the history of our country. At the Old Cadet Chapel, Brigadier General Maritza Sáenz Ryan US Army, Retired, and a 1982 graduate of West Point, US Military Academy, spoke of the many hats worn by Margaret Corbin and other women Patriots. It was women like Margaret, explained General Ryan, who provided key and essential field services for the Continental Army. Women worked as laundresses, seamtresses and nurses. As water carriers, they assumed a role that was crucial for providing drinking water for soldiers as well as cooling down artillery pieces after firing. 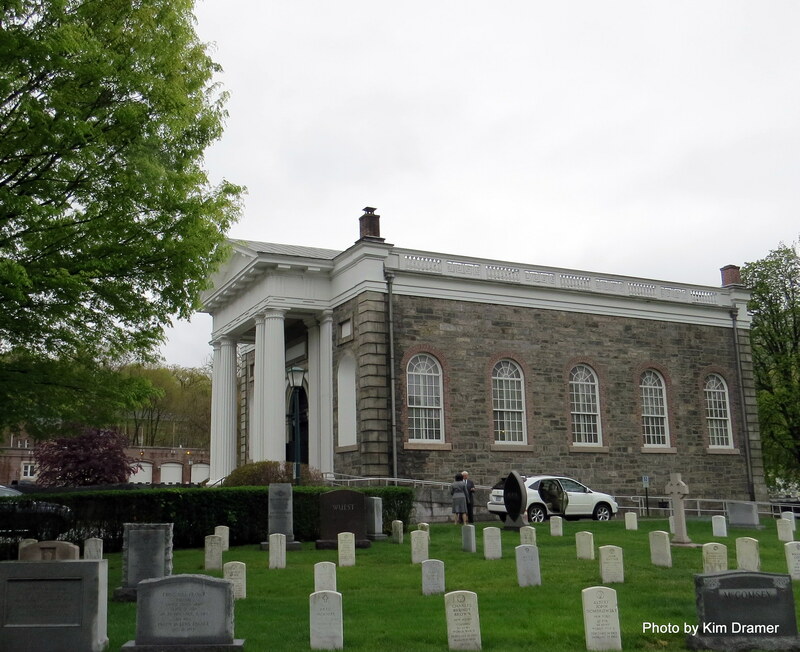 Old Cadet Chapel and cemetery, West Point. Prepared to serve in these functions at Fort Washington, Margaret Cochran arrived in New York with her red hair tucked into a ruffled mob cap. She had accompanied her husband, John, a private in the Pennsylvania Artillery to the field of battle at the northern tip of Manhattan island. Here, at the height of the battle, Margaret Corbin switched hats, changing abruptly from field service to artillery service. Still wearing the mob cap of a colonial American woman, Margaret Corbin sprang into active military duty, taking the place of a wounded soldier who was part of the artillery crew. BG Maritza S. Ryan, US Army, Retired, who delivered remarks on Margaret Corbin’s military actions at the Battle of Fort Washington, November 16, 1776. After her husband fell, mortally wounded, Margaret Corbin continued to man (or more precisely, offered General Ryan, “to woman”) the cannon single-handedly. It is said that Margaret fought overwhelming British and Hessian forces, swabbing, loading, aiming and firing a 6-pound cannon that was usually handled by four artillerists. Hers was the last American gun at Fort Washington to fall silent as enemy forces overran the American fortifications. Margaret Corbin was taken prisoner by the British after the American defeat at Fort Washington. But the Patriot actions during the battle, including the military role of Margaret Corbin, had allowed George Washington to escape capture. He fled by boat across the Hudson River to Fort Constitution (now Fort Lee) on the New Jersey side of the river. DAR Officers assemble on the steps of the Old Cadet chapel before the wreath laying ceremony at the grave site of Margaret Corbin. Margaret Corbin, now a POW, was sent by horse-drawn cart to the Patriot stronghold in Philadelphia for medical care. It was a journey of three days before Margaret’s wounds were properly cared for. Her jaw was shattered. Grape shot from enemy fire that had likely killed her husband, had injured her neck and rendered her left arm completely useless. Washington would ultimately return victorious to the battlefield at Yorktown in 1781, gaining independence for our country. Margaret Corbin was awarded an Army pension. Changing hats once again, she was assigned to the Corps of Invalids at West Point, assuming the status of wounded veteran. Here, she spent her happiest hours as “Captain Corbin” amongst her fellow soldiers. General Ryan noted: “She expected, and received, salutes and professional courtesies whenever she came on post.” The Adjutant at West Point personally saw to Margaret’s welfare as a wounded veteran. In 1800, at the age of 49, Margaret Corbin was buried without fanfare in the woods near West Point. Jennifer Voigtschild Minus, current DAR Chairwoman of Margaret Corbin Day, and a 1993 graduate of West Point, US Army (Retired), delivered the narrative of Corbin’s return and burial in the West Point cemetery. Through the efforts of the DAR, Captain Molly’s remains were located and disinterred, 151 years after her heroic actions on the battlefield at Fort Washington. She was identified by means of the war wounds she had suffered: Three grape shot were still embedded in the bones of her shoulder; her shattered jaw bone indicated pain and suffering that were the price of her heroic military actions. The remains of Margaret Cochran Corbin were re-interred at the West Point cemetery with full military honors on March 16, 1926. A plaque in Fort Tryon Park in northern Manhattan honor Margaret Corbin’s heroic actions during the Battle of Fort Washington, November 16, 1776. This year marked the 90th Margaret Corbin Day. A church service at the Old Cadet Chapel, remarks and wreath laying and 21-gun salute are usually followed by a luncheon with female cadets at West Point, the United States Military Academy. 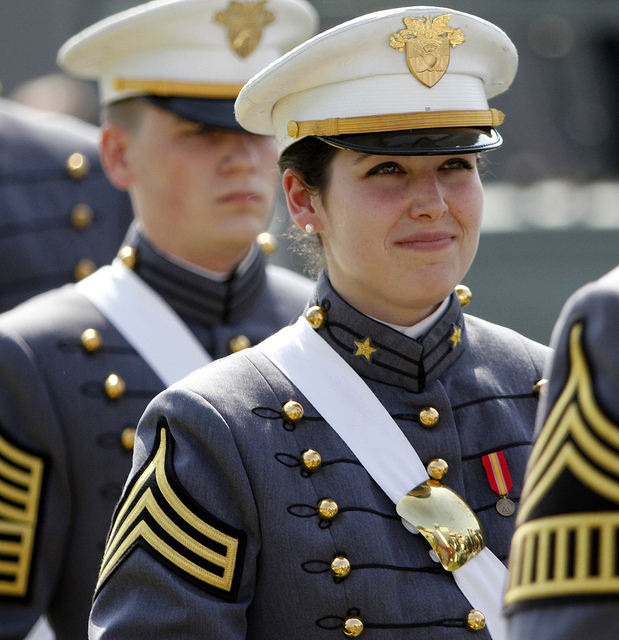 In 1976, the year the first women cadets arrived at West Point, the Margaret Corbin Forum, a cadet club, was founded. Exactly 200 years after Margaret Corbin’s heroic actions at the Battle of Fort Washington, the Forum provides a voice in support of the commitment to the integration of women in the Corps and in the military. It is a fitting legacy for Margaret Corbin, the first American woman to take a soldier’s part in the war for liberty. Margaret Corbin wore many hats: She was an Army spouse, a widow, a soldier, a wounded POW and a disabled veteran. Today, as women expand their role in the military, the hats keep changing. During Margaret Corbin Day at West Point, DAR ladies in formal hats mingle with women wearing US Army officer caps and female Cadets wearing the white hats of the US Military Academy. All come together to honor and celebrate the legacy of Margaret Cochran Corbin and her fight for independence. This entry was posted in New York History, New York Women, Uncategorized, Women in the military and tagged Battle of Fort Washington, Jennifer Voigtschild Minus, Margaret Cochran Corbin, Maritza Ryan, United States Military Academy, West Point on May 9, 2016 by kimdramer.